This bowl is super adorable! It sticks right to the table so it's not going to move around while your little one is trying to feed themselves or you are trying to feed them, whatever the case may be. The suction cup part of the bottom also comes off if you choose to not use it or have no need for it anymore. It's nice and deep so you can fill it with a lot of food, to be honest. Perfect for big kids too! 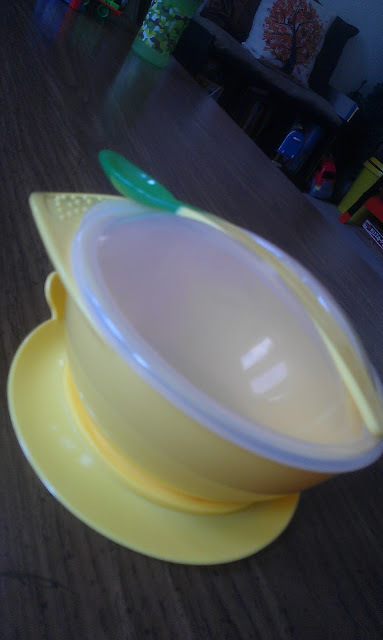 I love that it has a lid so you can store leftovers, or maybe take some snacks with you while you are out. 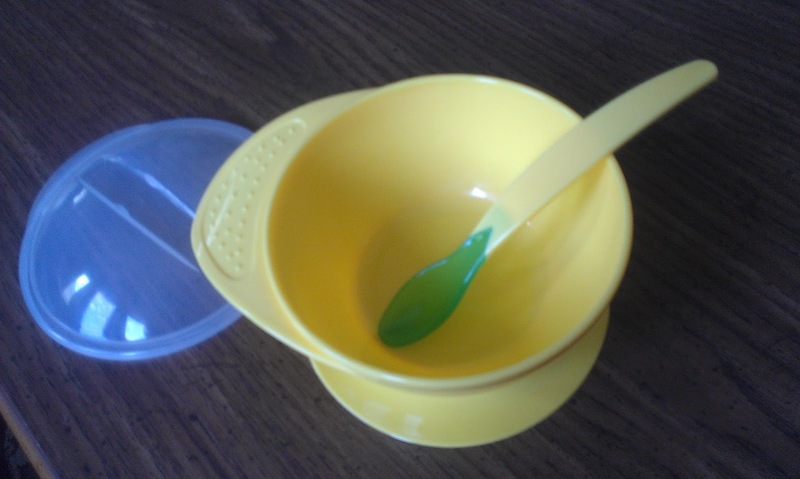 The spoon also slides right into the lid on the top and stays put, so everything is handy. There's also a nice little handle at the side as well. I love everything about this little bowl! I would definitely keep this in the diaper bag with some crackers or snacks in it for when we are at a restaurant.